commentaries from leading researchers in areas such as text comprehension, technology, as well as math and science education, who discuss the constructivist framework from their perspectives. Chapters present detailed views from both sides of the controversy. A distinctive feature of the book is the dialogue built into it between the different positions. 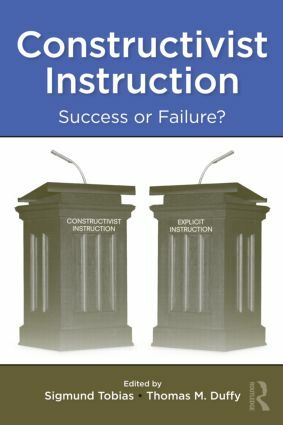 Each chapter concludes with discussions in which two authors with opposing views raise questions about the chapter, followed by the author(s)’ responses to those questions; for some chapters there are several cycles of questions and answers. These discussions, and concluding chapters by the editors, clarify, and occasionally narrow the differences between positions and identify needed research. What’s Worth Knowing in Mathematics? “To Every Thing There is a Season, and a Time to Every Purpose Under the Heavens”: What about Direct Instruction?